We help our customers with their garage door springs repair Richmond needs and respond in a timely manner. Snapped extension or torsion springs? Want our advice about the existing home spring system? From emergency spring replacement to casual spring repairs, trust the professional services of our Garage Door Repair in Richmond TX. We fix all types of residential springs as soon as possible and are at your disposal to check and maintain them, adjust and repair them, replace their parts and keep them in good shape. 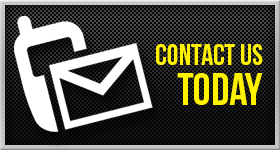 Responding quickly when there is need for emergency garage door springs repair in Richmond is our priority. Springs can be very dangerous if they suddenly snap and our goal is to prevent that from happening. We do that by lubricating and adjusting them to enhance their longevity and strength. Did you know that springs are not as strong today as the day you first installed them. 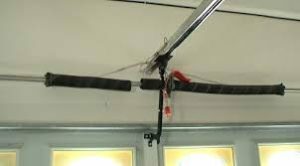 Every time the door moves, they lose some of their power and that’s the reason why our garage door spring repair and adjustment services are essential. Our professionals add tension to keep springs going, but can also replace them before they break. We carry several garage door spring replacement parts with us since each door must have a certain number of springs and of a specific size. With the experience of our technicians, you can rest assured that the right springs are installed at your garage. For your protection, our technicians can also install safety cables in case you have extension springs. These are special cables, which keep the springs from flying and hurting you in the event of snapping. Our company in Richmond, Texas, offers full home spring services. We can take exceptional care of your residential spring system and tell you when it’s time to replace them. Are you having urgent spring problems now? Need emergency broken spring repair? Count on our quick service and excellent job. We replace broken springs as fast as possible, balance the door and guarantee expert spring installation.